Sofia talks about her love for the Megaformer workout and why it is a "necessary torture." Sofia has been doing Lagree Fitness for over 8 years now. 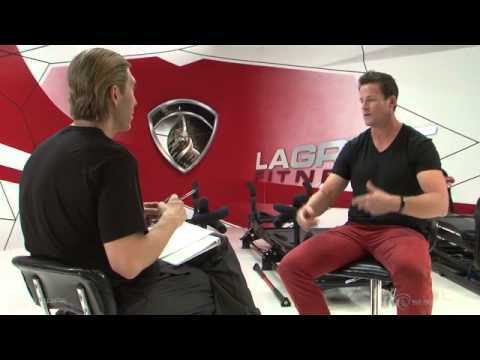 Paul Green explains the importance of goof form and the effectiveness of the Lagree Fitness Method. Andy Sutton talks about the Megaformer being the "perfect" workout. The M3 accommodates Andy's huge frame at 6'6 and still allows him to perform full range of motion. Andy uses the M3 as his cardio/strength workout. He likes to train very short periods of time but every day. Rosa Blasi explains that Lagree Fitnes is the real deal, It's the "perfect storm". Lagree Fitness is low impact and intense. Why look anywhere else to train. MLB Felipe Lopez shares his secrets for a healthy life and his love for Lagree Fitness.